According to an Aljazeera report, the Associated Press news agency has said that at least 56,800 refugees and migrants have died or gone missing since 2014, almost double the number recorded by the UN’s International Organization for Migration (IOM). The IOM’s tally, which mainly focuses mostly on migrants heading to Europe, stood at 28,500 as of October 1. The Associated Press reported on Thursday that an additional 28,300 people had either died or gone missing according to data it compiled from international groups, forensic records, missing persons reports, death records, and interviews with migrants and refugees. Despite talk of the ‘waves’ of African migrants trying to cross the Mediterranean, as many 16 million people migrate within Africa, the AP said. Since 2014, at least 18,400 African migrants had died traveling within the continent, according to the figures compiled from AP and IOM records. That figure included more than 4,300 unidentified bodies in the South African province of Gauteng. she had heard stories of people going missing. Afraid that one day they will end up as anonymous bodies in the streets of Johannesburg, where crime rates and traffic accidents are steep, she told the AP that she barely let her five children out of sight. “If one of them stays away for longer than 10 minutes, we phone them,” Kholakele said. With a prosperous economy and stable government, South Africa draws more migrants than any other country in Africa. 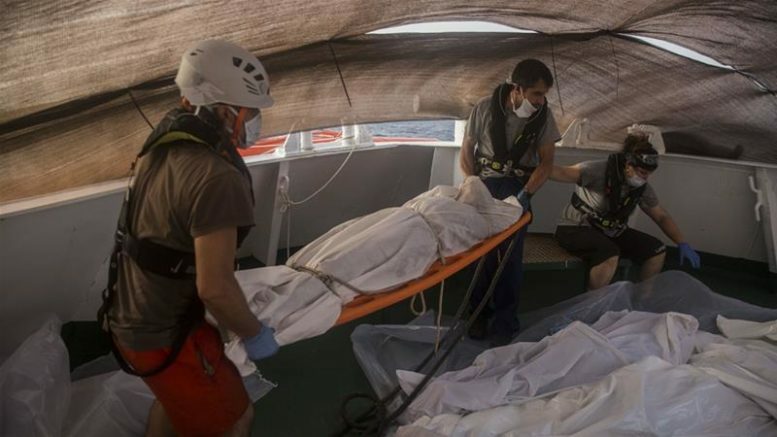 The AP said that when 800 people died in an April 2015 shipwreck off the coast of Italy, Italian investigators had pledged to identify them and find their families. More than three years later, under a new populist government, funding for this work was being cut off. Beyond Europe, the AP said information on the fate of migrants was even more scarce. Little was known about the toll in South America, where migration among Venezuelans was among the world’s biggest today. Or in Asia, the leading region for migration. “No matter where you stand on the whole migration management debate … these are still human beings on the move,” said Bram Frouws, the head of the Mixed Migration Centre, which surveyed more than 20,000 migrants and refugees since 2014. Be the first to comment on "About 60,000 migrants have died or gone missing since 2014, states AP report"